This entry was posted in Beach Life, Beaches, California Living, Photography, San Diego, Sunset Photography, Sunsets and tagged America's Finest, beach, beachlife, california, cardiff by the sea, Clouds, Encinitas, pacific ocean, Paradise, san diego, Solana Beach, Southern California, sunset, sunsetlovers, Tourism, water, Waves, West Coast. Bookmark the permalink. 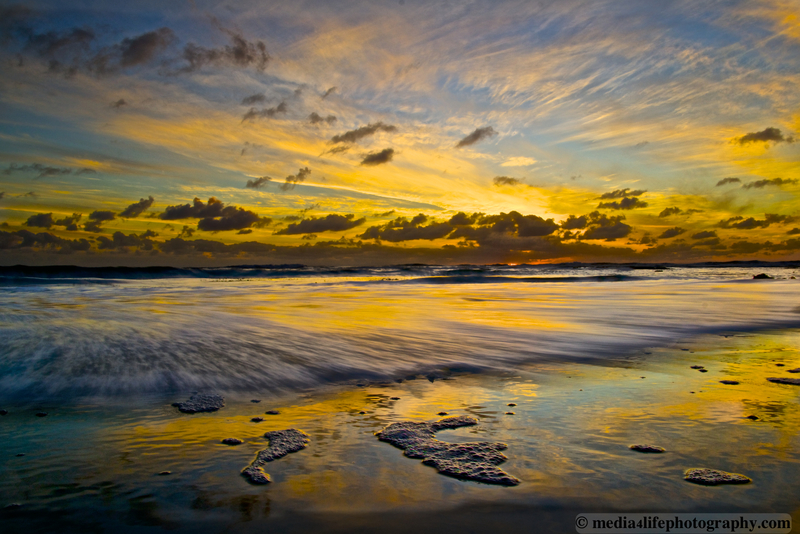 Great sunrise photograph I love the beach and ocean, thanks for sharing. Thank you Louise, it’s actually a sunset. I live in Southern California, on the West-Coast. Thanks for visiting my website. I stopped by your FB page and liked it. Nice photography. Thank you Donna. Be blessed.